What do cashews and dementia have in common? They are commonly linked with diabetes. The first as a preventative aid and the second a byproduct of uncontrolled diabetes. 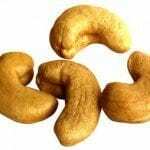 The reason the research is significant is because the cashew is a natural and sustainable resource that can be used in cost effective treatment of diabetes. Obviously more research will be needed, but the use of cashews in the care of diabetes may be viewed as another positive in the ongoing quest to find treatments and an ultimate cure for diabetes. Cashews come from a fruit known as cashew apples. The apple is small and typically rots within 24 hours of picking. The research extended to the apple, the leaf and the bark of the cashew apple trees. Cashews are said to be anti-inflammatory and can be used to control the blood sugar levels in those living with diabetes. It has been said that Alzheimer’s is a form of diabetes because insulin levels are extremely low in patients with Alzheimer’s. However, the report suggests that dementia in diabetes is different than Alzheimers, “The findings show that people who have diabetes are more likely to get affected by vascular disease, which affects blood flow in brain vessels causing dementia. People who suffer from dementia without diabetes are affected by brain plaque deposits, which are generally found in Alzheimer patients,” said TopNews. In diabetes, dementia is often the result of vessel damage between the heart and brain. By understanding the cause medical practitioners may be able to better guard against the instance of dementia by assisting their diabetic patients with information and medication that may prove helpful. These two stories continue to point to the wide variety of tools researchers are using in order to gain a better understanding of diabetes and how it affects patients. Similarly they are also working to use every available resource to better the lives of their patients. The overall care of those with diabetes continues to improve with each passing year and research findings like these assist in advancing the cause of care. This entry was posted in Nutrition on July 26, 2010 by admin. Diabetes and fast food can co-exist but count your carbs & get exercise. What is true in the United States seems to be true of many other nations when it comes to diabetes. When the population as a whole gains weight the instances of diabetes increases. Research in one Asian country seems to blame western fast food for the dramatic rise in diabetes. Australia’s Garvan Institute of Medical Research conducted the study in Ho Chi Minh City, Vietnam. The BBC reported that, “about 11% of men and 12% of women… had undiagnosed type 2 diabetes.” This didn’t count the 4% who had already been confirmed as having diabetes. 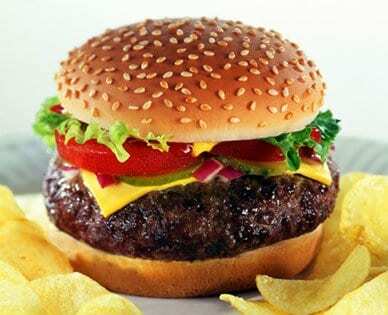 It seems that studies in various other Asian countries point to the potential of fast food and a change in lifestyle as the predominant reason for the spread of diabetes. I suppose the greatest difficulty for leaders of any country is that food is the one area that can be hard to police and may be viewed as a harsh and unusual form of control. Many choose fast food for convenience while other choose it for taste. In all cases it is a sense of freedom that predicates the choice of what food is ultimately consumed. In America where the financial system is built on capitalism it can be hard to deny paying customers the food items for which they are willing to pay. If a fast food restaurant moved toward a position of only serving health food they may find that their customer base would shrink dramatically. In fact the success of U.S. fast food chains has convinced them they have a formula that works. From a business standpoint it makes sense to export the product and increase their profitability. Most people do not want someone telling them what they can and can’t eat. Fast food restaurants certainly aren’t going to be the ones to force you to eat something you don’t want. However, they will change direction when customers demand changes. Any changes that we are going to see in fast food restaurants will be because we, as consumers, make different choices. If restaurants discover that a healthier product will sell they will begin offering healthier foods in general. The menu of virtually every restaurant is consumer driven. Restaurant owners want to be successful in business so they will be responsive to consumer demand. To put this in perspective you need to know that as a diabetic or pre-diabetic the changes you need to make will be changes you personally make. Fast food restaurants will not change their menu simply because you have dietary restrictions. You will be responsible for your own diet and lifestyle. At some point one has to think that when/if diabetes becomes an epidemic it will become the best interest of the fast food restaurants to alter their menu because at that point it is conceivable those with diabetes will sadly become a group large enough to tip the balance in favor of healthy foods and adjusted portion sizes. However, instead of waiting for this scenario to happen you can take control of your health and begin making personal changes today – on your own. This self-disciplined approach frees you from having to wait until a universal change takes place in what truly would be a worse case scenario. This entry was posted in Nutrition on July 19, 2010 by admin. Many diabetics are now seeking to control their ailment through holistic methods. Natural herbal and vitamin remedies are replacing traditional therapy, and have consistently produced amazing effects. For centuries, herbal concoctions have had the ability to restore an otherwise lost balance to the body, rendering it possible to rely on its own healing capacity. Diabetics who partake in a regular regimen of herbs and vitamins have reported an improvement in their overall well-being. However, in combination with these natural remedies, patients need to carefully monitor blood sugar levels to assure that their disease is stabilized. There is a wide variety of herbal supplements that can be used in addition to healthy diabetic diet and lifestyle. Ongoing research and clinical trials have shown the positive effects that herbs and vitamins have on a typical diabetes patient, in addition to, a significant decrease in risks and complications. Although blood sugar levels are best regulated by a combination of both herbs and vitamins, taking each substance singularly has shown great improvement in diabetics as well. Used in traditional Chinese medicine to treat diabetes, Asian Ginseng or Ginseng has been proven to produce a blood sugar lowering effect by heightening the release of insulin from the pancreas. Ginseng can also strengthen the immune system, as well as, lower blood pressure. This herb can be added to food or taken as a supplement. Bilberry can lessen the risks of diabetic complications, primarily eye problems such as retinopathy and cataracts. A traditional method used to treat diabetes, Stevia can have favorable effects on glucose tolerance. Referred to as “sweet leaf” or “sugar leaf,” Stevia is renowned for its sweet taste. In Japan, this herb is widely marketed as a sweetener and an alternative to sugar. Cassia or Cinnamon has been proven to significantly lower blood glucose levels. Commonly used in cooking, Cinnamon can often be found in Chinese food. Proven in clinical tests to stimulate insulin from the pancreas, Fenugreek has also been noted to lower blood sugar levels. Fenugreek seeds can be used as a spice, while the leaves are usually used as a herb. Fenugreek can also be consumed as a supplement. Gymnema Sylvestre is an Ayuvedic herbal remedy that can assist Type II diabetics with insulin production. Gymnema has also been known to lower blood sugar in Type I and II diabetes. The blood sugar lowering effect of Bitter Melon has been widely accepted as a herbal remedy for diabetes. 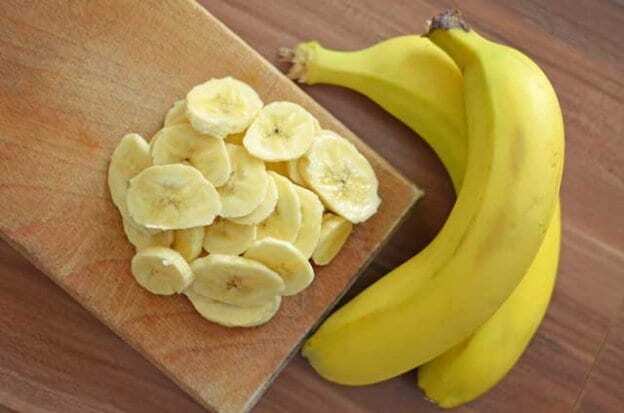 The freshly squeezed juice or pulp of this unripe fruit has shown positive effects in Type I and II. Beware of over consumption, however. Too much of this juice can lead to stomach pain and diarrhea. Aloe Vera, also known as “the healing herb,” is a traditional method used to treat diabetes. The sap and gel extracted from a dried aloe vera can assist in lowering fasting blood glucose levels. There are also a number of vitamins that are used in the control and management of Type I and II diabetes. Vitamins C and E keep the kidneys healthy, and prevent further damage. Taken with Folic Acid, Vitamin B-6 assists in the prevention of nerve damage, and loss of limbs due to disease complications. Both Magnesium and Zinc relieve neuropathic discomfort, as well as, assist in the effectiveness of insulin. The frequency of consumption of both herbs and vitamins should be listed on the packaging and bottle. It is common practice for most herbal remedies to be taken at least two times per day. To truly determine how many times daily a herb can be used, it is advised to consult with your physician. Together, you can devise a plan to effectively combat symptoms and complications of your particular case. Herbal Vitamins For Diabetics: It is estimated that nearly 200 million people world-wide suffer with the fate of diabetes. So why not try something different then ordinary prescription medications? You could try something a little healthier for both you and your body before it’s too late and the diabetes worsens. I’m talking about Herbal vitamins, they have been invented to help people who are struggling with the complications of prescription medicine find some sort of relief. Did you know that Diabetes is among the 6th leading causes of death in the world? I mean that is extreme, so why not do something that you will benefit from rather than prescription medicine that might possibly make you sicker then you were. I am not saying all prescription medicines are bad, I know there are a few that are very good for you. However, it was estimated that last year 20 million people received money from their lawsuits stating that the drug they were prescribed made them sick. So what do you do? Because yes herbs have been said to be something that have made many people sick, just not as much as prescription. It is ultimately your decision on what you would pick to take, however let me give you a few ideas to go based off of when looking at herbal vitamins. If you are experiencing someone who is struggling with nerve damage, Vitamin B can help to prevent the damage and produce more enzymes that are needed in foundation of energy from glucose. Antioxidant Components can also be helpful in protecting people of nerve damage and damage of the eyes and heart also. Alpha- Lipoid Acid helps to improve the metabolism of your glucose. Some people who have been diagnosed with diabetes find themselves having some issues with their hearts. Fish oil has showed some improvements in the reducing Cholesterol so that it will stop the problems you are experiencing with your heart. Zinc helps in utilizing insulin so that the diabetic can first start feeling better but since the insulin is moving now, it will also help sores to heal and decrease. Bilberry prevents any damage that may happen to the eyes while Taurine releases insulin to the body which will in fact help to prevent any difficult blood clotting that may lead to a heart attack or heart disease. Chromium supplements can help to lower blood sugar levels while your body also starts to build immunity for a glucose tolerance. Peripheral Neuropathy is a condition known to diabetics, one way to help get some relief from that annoyances of both numb hands and numb feet is to take Inostiol, a vitamin B-complex. Taking vitamin H, also know as Biotin can help improve the metabolism in your glucose. A lot of pain that can come from diabetes comes from Peripheral Neuropathy, which is the damage that happens to nerves of the peripheral nervous system. Helpful vitamins that might help consist of essential fatty acids; there can help decrease some of the symptoms. Taking B-6 and B-12 can also help you to deal with some of the not so pleasant issues of Neuropathy. B-6 can help to reduce some of the insulin demands that your body is giving. Last but not least those who have been diagnosed with diabetes are very familiar with the pain that comes in your hands and feet, sometimes the pain can be unbearable. You should try Capsaicin cream, while is a cream made from the herb cayenne. It can release some of the awful pain that you are feeling both in your feet and hands. Eating Out When You Have Diabetes: Who doesn’t like eating out? In today’s world sometimes eating out has become a necessity since most people just don’t have time to cook anymore. What happens though when you have diabetes and are afraid of eating out? This happens to some people and they are afraid of going out to eat because they don’t know exactly what to order that will not spike up their glucose level. It doesn’t have to be like that and it really shouldn’t. Diabetics should be able to go out and enjoy a nice restaurant without worrying about what they should or shouldn’t eat. First of all, check your blood sugar level before eating and insure you’re giving yourself enough insulin for your carb intake. Order a small proportioned meal. Many diabetics find themselves ordering from the side order menus because that is what they prefer since they come in smaller amounts. Other diabetics choose to order from the child’s menu because they are sure to find less there. No matter what you order though you should always make sure you are eating in small portioned amounts even if that means taking some home with you in a doggy bag. Sometimes you go to a restaurant that has sandwiches and burgers which normally comes with fries. If this happens, just order some fruit or salad instead since fries are least healthy for those who have diabetes. If you have gone into a Mexican restaurant it might be better to ask for some salsa on your burrito or taco instead of something like sour cream or even cheese. Stick with ketchup, fat-free mayo, barbeque sauce or mustard rather then house dressings of any kind. Since most dressings can be full of sugars. It would be most helpful to diabetics if they made a place for them on their menus and I believe restaurants would get far more recognition for it. They should research diabetes and find out what foods are best and offer them. Some people don’t want a lot of people to know about their diabetes; therefore placing the diabetic menu on the regular menu would prove quite useful and just might bring more service to a restaurant. Some diabetics will ask to speak to the chef just to make sure they are on the same level as them and ask about skinning chicken and using less butter, low cholesterol eggs and whole-grain breads. Food is not all that should be of worry though, also watch what you drink. Calories equal problems with diabetes, so no ice cream drinks or milk shakes. Stick with water, un-sweetened tea, mineral water or just plain water instead. Sodas and some juices have far too much sugar to even drink therefore these can end up spiking your glucose levels. Be sure that if you do go out to eat, that you are eating at the time you are supposed to. Order a salad if you have to so that you can keep your blood sugar level exactly where it is supposed to be. Amylose In Relation To Diabetes: Amylose is a molecule that is found in starch. While most people who have not been science majors may be either disinterested or even overwhelmed by a discussion of the chemical composition and purpose of Amylose, diabetics who need to regulate their diets may appreciate an overview of what Amylose is all about. In general, attempting to make radical changes to regulate your diet without the advice of a physician is not recommended. Even if you already know a great deal about the subject, only your physician has enough knowledge of your particular medical needs and how something will affect you. As studies show that an ongoing diet which contains foods that are rich in Amylose can be beneficial to a diabetic, this is something which you might like to discuss with your doctor. Simply finding out which foods Amylose is present in, and attempting to adjust your everyday diet accordingly, can be greatly helpful to some diabetics but harmful to others. Not only does your physician know your own specific range of insulin levels, he will also be in the best position to advise you as to whether providing a “boost” with starch can be in your best interest. While stabilizing blood sugar levels is the primary concern for diabetics, many diabetics also struggle with weight issues. This is yet another reason why your physician should be consulted, rather than making this decision on your own. While foods which are rich in Amylose can be beneficial in causing long term stabilization of blood sugar, some diabetics may be in the position of avoiding it because the starch that is most difficult to digest can impede their efforts to control their weight. These days it is becoming more and more popular for patients with a variety of medical concerns to elect to “take charge of their own healthcare.” It is essential to recognize that this does not mean the patient has all of the relevant facts on hand to make serious health decisions without the assistance or input of his own doctor. Even though it has been shown that regulating one’s use of starch can have a positive effect, there are enough factors involved in this to make it clear that the average patient is not in a position to come to a conclusion. As each person’s system is different, only a physician can make a qualified decision regarding how such dietary changes are likely to affect the individual patient. When it comes down to making the final decision as to what types of dietary adjustments are best for your specific situation, only your personal physician has enough information about your particular health issues to make the most well-informed decision. In the interest of your long term health, and to avoid the possibility of any unnecessary complications, it is essential that you do not try to switch to either a high-Amylose diet for the purpose of blood sugar regulating, nor to eliminate Amylose-rich foods altogether in an attempt to lose weight. Drink Deep, Live Long The 2,000 Year-old Diabetic Tea: Would you like a cup of Gymnema Herbal Tea? If you were to visit either India or Sri Lanka you might be offered a cup. It appears that if you suffered from diabetes it might be beneficial to drink. For more than 2,000 years gymnema sylvestre has been used as both a medicine as well as a common drink in India. Today a growing body of evidence seems to support the use of this herb in the treatment of diabetes. A plant extract from the rainforests of India, gymnema sylvestre has been subjected to multiple scientific tests and the end result seems to be that science would agree that taken with a doctor’s prescribed insulin regimen this herb can provide relief from certain diabetic symptoms. Specifically this product may serve to encourage the body to produce additional insulin. King’s College in London produced a study in 2005 that indicated the herb does in fact increase insulin secretion. One rather remarkable attribute is that the tea provides a short-term desensitization to the taste of something sweet. In other words if you were to eat a piece of candy following consumption of Gymnema Herbal Tea it would not taste sweet. Even eating a piece of fruit would find that your taste buds do not recognize the sweet taste of the fruit. This effect is generally gone within 30 minutes of completing a cup of tea, but if taken with meals it may reduce your desire for desert. Preliminary research also suggests that drinking Gymnema Herbal Tea might serve to lower bad cholesterol and lower triglycerides. Many researchers also view the effects of gymnema sylvestre as cumulative. In other words the longer you use the herbal supplement the greater the end results will be. You may not see or feel much change in the first few days or even weeks of using this product, but over time it may prove helpful. The Hindi refer to this herb as Gur-mar, which is literally translated ‘sugar destroyer’. As with all herbs the Federal Drug Administration (FDA) does not regulate nor do they test the assertions made by herbal manufacturers. That being said the scientific community has done a service for those who appreciate a more holistic approach to managed care. By discovering the primary compounds within gymnema sylvestre they have found that there is good reason for the people of India to rely on the herb for assistance with diabetes. India’s good news is now a common export. Gymnema Herbal Tea can be found online, but it may also be found in many health food stores. You may benefit by asking your primary care physician if the use of this herb may be helpful in the care of your diabetes. Combining the Natural With the Medicinal: As early as 1982 researchers at the Pritikin Center saw something that seems to have since been swept under the rug. Their findings showed a significant number of members in their study group able to eliminate diabetes drugs after following a revolutionary diet that in many ways stopped diabetes in its tracks. What was it? A diet rich in vegetable based foods and poor in animal products. Today this notion may be thought of as simply an alternative medical approach or perhaps even a fad. Doctors will still provide answer to diabetes that include drugs first and common sense solutions second. Many will say it is large pharmaceuticals driving this trend toward a magic bullet solution. Indeed the research that is routinely conducted today seems to rely on drugs and surgical procedures as viable solutions. This scenario has essentially placed natural remedies and other alternative medicines as the stuff of Witch Doctors and Voodoo health. This may be unfortunate in that medicine has always benefited from using what occurs naturally in our environment to help in the healing arts. This article in no way seeks to lure patients away from the care of their physician in favor or a remedy that may not fully take your current medical condition into account. The notion set forth here is to explore options that can enhance therapies you may already be using to improve your health and reduce diabetic symptoms. Many argue that Americans have become so enraptured with a pill to cure everything they may not be taking a vested interest in their own health. With diabetes there is a need to work at self-managing your disease. This includes monitoring your blood glucose, watching what you eat and exercising. This is stressed strongly by health care workers to help diabetics understand the need to alter their lifestyles. The problem is this common sense set of standards never seems to be taken to heart until the disease is already in place. This gentleman has lost more than thirty pounds and has improved vitality and interest in life since he made that decision. He is now close to sixty years of age and remains free of diabetic symptoms (something that is common in his family). When I talk about ‘vested interest’ this is the individual that comes most immediately to mind. His conscious decision to do what he could to resist dependence on medication is inspiring and a visual I wish many Americans would take heed to and imitate. This site provides several articles on natural elements that can aid in curbing diabetes or managing its care. Interestingly there was a time not so long ago when pharmaceutical medicine and natural remedies were lumped together as a complete approach to the care of patients. Somewhere the two were separated and they don’t always play well together in the 21st century. In the end you will need to do what is best for you so learn all you can about different diabetic therapies and get your doctor’s input. Protein is the staple of many highly regarded diet plans including the Atkins diet. In many cases protein is strongly recommended to the exclusion of carbohydrates. Many have lost weight using this method, but this new data may have limiting implications for these plans. The original emphasis of the study was to learn how fat metabolizes in individuals who are lean as opposed to those who are obese. What researchers learned came as a surprise, “Under circumstances of overconsumption, not only does excess fat and carbohydrate have injurious effects, but also the protein component of the diet can lead to some of the co-morbidities of obesity,” said Newgard. Part of the key to this study was the total number of BCAA proteins in food. It is estimated that there are about 20% of all protein supplies that include BCAAs. In rats that were used in this test there was an equal amount of insulin resistance with a lower fat diet that included BCAAs as there was in a high fat/high protein diet. The rats that had the low fat, but high BCAA diet ate less and still had an equal insulin resistance as their high fat rat counterparts. These findings are logically going to be reviewed and studied from multiple angles, but it does offer some interesting ideas about the near epidemic status of diabetes. What if it’s possible the diet we have thought was beneficial to the American public is actually part of the problem associated with onset diabetes? What if the very foods we look to for good health are actually contributing to the rapid growth of Type 2 diabetes? Yes, the ultimate results of this study may indeed provide profound ‘implications’.